Could Negative Thoughts Affect Your Risk of Dementia? 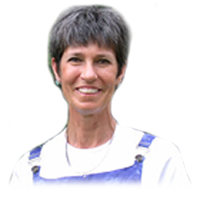 By using movement to expand the potential of children, Candi Cosgrove creates connections that are designed to expand students' unlimited potential by learning through movement. Students are taught how to set action goals and discover the ease of visual and auditory integration for reading, writing, listening, memory and other daily life skills. The goals relate to posture, movement, relaxation, motivation and thinking skills. The effects of cerebral, limbic and brain stem integration are identified and used in your children's learning process. Bal-A-Vis-X — a series of Balance / Auditory / Vision eXercises of varied complexity and deeply rooted in rhythm — demands cooperation, promotes self-challenge and fosters peer teaching. These exercises are for everyone — even kindergartners. The award-winning Brain Gym system promotes whole brain learning and assists in completing neurological development. Brain Gym enhances your child's existing curricula with help in posture, movement, relaxation, motivation and thinking skills. 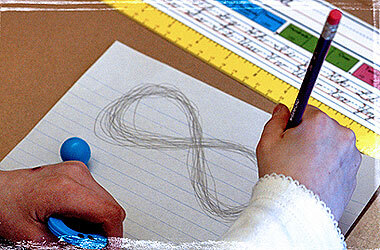 Movement Based Learning helps children learn how to learn in a functional, practical way. 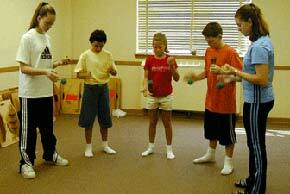 Activities produce improvements in focus, comprehension, communication, organization and physical movement. Professionals who stay up to date on the latest techniques in their fields are the most beneficial to children. We offer tailored consult workshops of varying durations in Bal-A-Vis-X and Brain Gym in schools, daycares and more. We offer private consultations either at our office or at your location about all our services for schools, families and more. Our private consultations can help identify the style of learner your child is and how to best assist that learning style. In our Parent Education program, we offer a blending of kinesthetic exercises, which can assist parents as they continue their journey of warmth, attention and structure of raising their child. 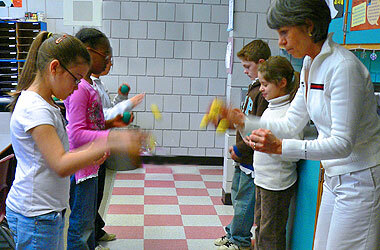 These education workshops offer an origin of the backgrounds with Bal-A-Vis-X and Brain Gym. For more information please download the Course Description and Registration form.